Monosaccharides are the simple sugars and are the monomers of more complex carbohydrates. E.g. glucose. Disaccharides arises when two monosaccharides join together E.g. sucrose = fructose + glucose. Polysaccharides are the polymers made up of many monosaccharides. E.g. cellulose – made up of many glucose molecules. 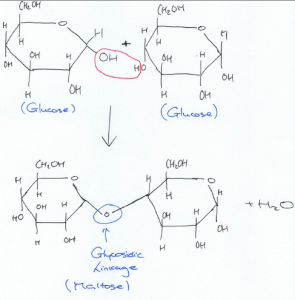 Glycosidic linkages is what holds the monosaccharides together in disaccharides and polysaccharides. 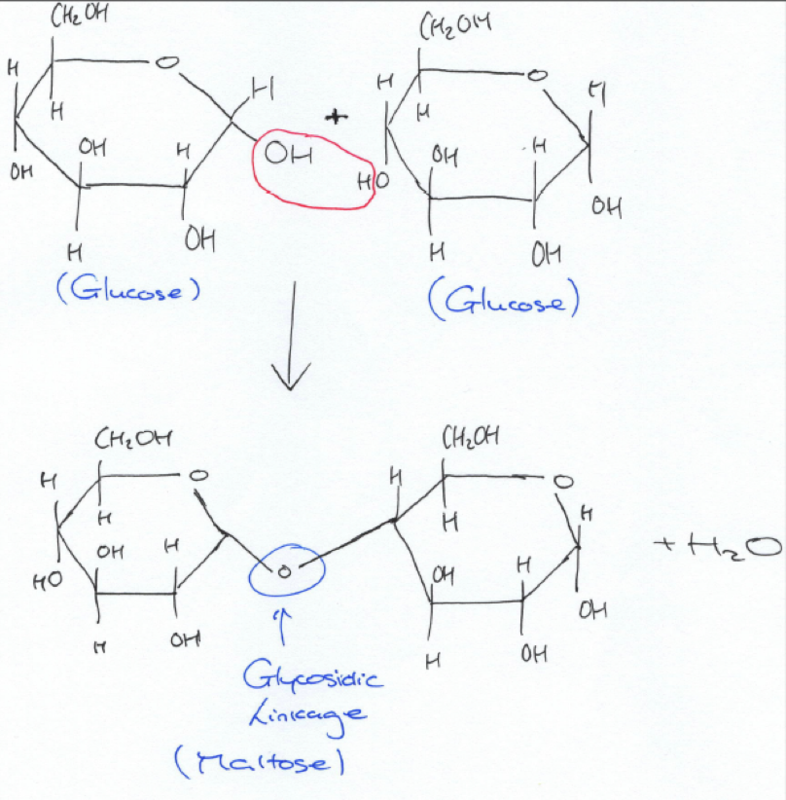 Reaction that occurs between the monosaccharides to form glycosidic linkages = condensation reaction.